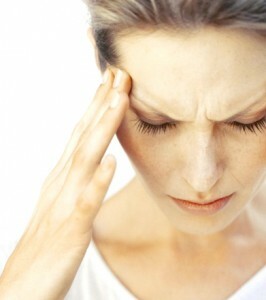 Migraines are a form of headache and located either on the left or right side of the brain. The throbbing pain can often be accompanied with vomiting and nausea and sensitivity to noise and light. They may appear sporadically but can last from a few hours up to three days. The condition can be debilitating and greatly affect quality of life; however, osteopathy treatment can prevent attacks and relieve pain for sufferers. By using different techniques to promote blood circulation as cranial osteopathy or tension release, our osteopaths in London have a great success rate. Our osteopaths are trained to the highest standard and with many years’ experience. They provide a gentle and caring yet professional approach to all patients, and ensure that they are using the latest and most effective methods so that your recovery is fast and safe. London Home Visit Physiotherapy offers treatment at your home, so you don’t need to worry about travelling to appointments. Should you prefer to visit us at one of our practices, they are located at the Light Centre Belgravia SW1 in Westminster, near Victoria station, the Light Centre Moorgate EC2 between Liverpool Street and Monument stations and our practice in Clapham SW4 between Clapham South and Clapham Common stations. How can osteopathy help me for migraines and headaches? What are the causes and triggers of migraines and headaches? Migraines are caused by vascular disorders within the skull and neurological issues such as face parathesias, visual disturbances or difficulties concentrating. The primary causes of these vascular and neurological disorders are complex but may include head injuries, car accidents that resulted in whiplash, cervical trauma, such as sprains and fractures, a fall landing on the coccyx or difficult birth deliveries that may have impacted the pelvic area. What are the symptoms of severe migraines and headaches? The headache will be located either on the left or right side of the brain. A throbbing pain is often accompanied with digestive issues, such as vomiting and nausea, sensitivity to noise and light, as well as neurological issues such as blurred vision and acute facial sensitivity. Migraines can appear sporadically and last for a few hours up to three days.